One of the great advantages of using SOLIDWORKS is its ease of use. Just about everything you want to do is one or two clicks away. Often when you are in an assembly, you need to jump back forth between the drawing and the components in the assembly. One of our customers ran into an issue where they were trying to open a part from the BOM but could not. 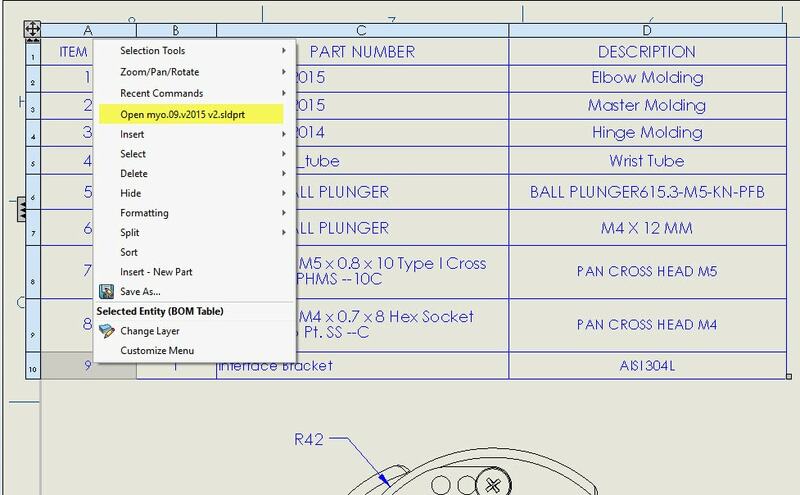 In previous versions of SOLIDWORKS, they could just right click on the component or assembly and select open. However, the customer did not have that option available any longer. See illustration below. 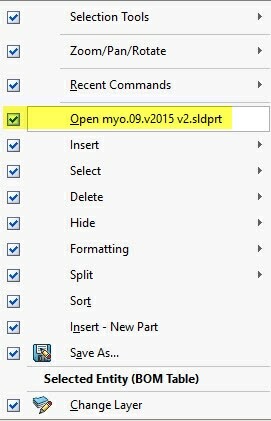 While there are several options to select, opening the part is not one of them. The solution to this is actually pretty simple. When you right click on a component, at the bottom of the menu is an option to Customize Menu. When you select ‘Customize Menu’, you get options to select what you want to display in the right mouse button menu. As you can see, the open option is not selected. 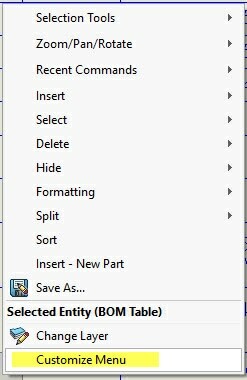 Once you select that option, you will then be able to right click on a component/assembly and open it. Now you can see when you right click, you get the option to open the file you want. 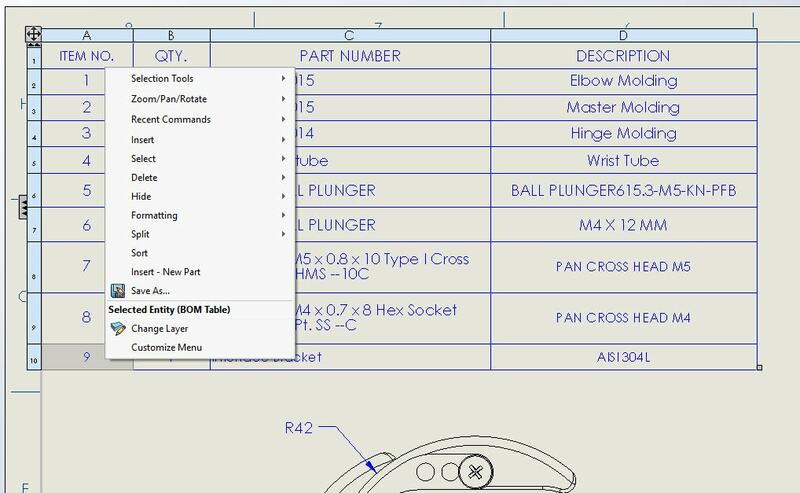 Like we talked about earlier, just about everything you need to do in SOLIDWORKS is one or two clicks away!